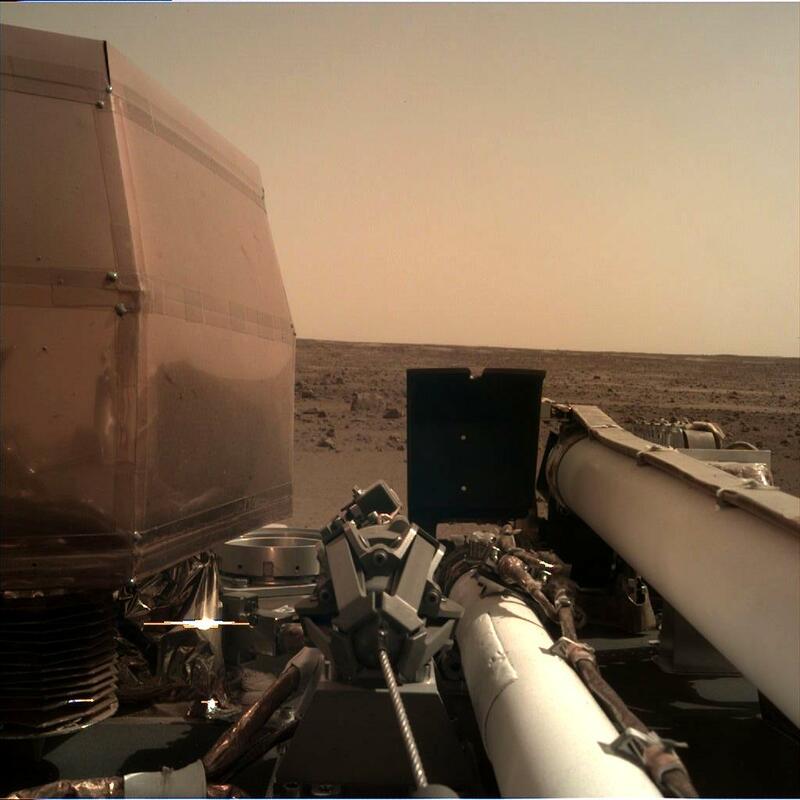 The Instrument Deployment Camera (IDC), located on the robotic arm of NASA's InSight lander, took this picture off the Martian surface on Nov. 26, 2018. Credit: NASA. NASA has done it again. 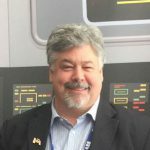 This time the InSight lander has successfully touched down on Mars and will start what is expected to be a two year mission. Artist illustration of Mars InSight lander on Mars. Credit: NASA. 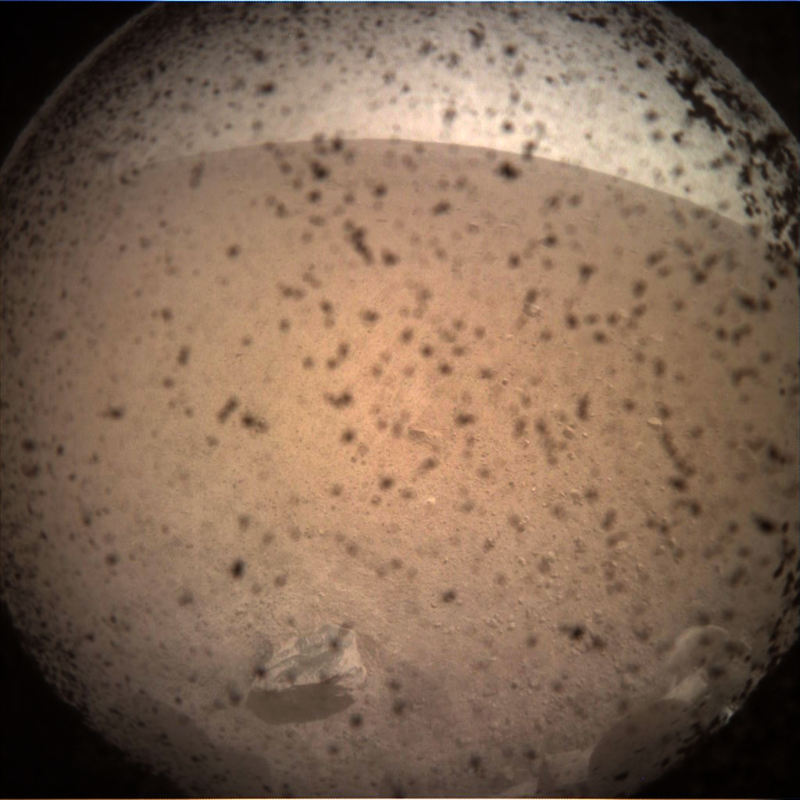 Shortly after touching down InSight sent back its first image. NASA Mars InSight spacecraft lands on Mars. The image shows the front of the lander using its lander-mounted, Instrument Context Camera (ICC). Credit: NASA. The Instrument Deployment Camera (IDC), located on the robotic arm of NASA’s InSight lander, took this picture off the Martian surface on Nov. 26, 2018. Credit: NASA. How InSight landed on Mars.